C R E A T E is a first-of-its-kind agency based in Los Angeles specializing in both creative services and operations in hospitality, lifestyle and events. We are passionate about creating memorable experiences through food & beverage, branding and events. We produce a wide range of social and corporate events tailored to our clients' needs, from beautiful charcuterie spreads to formal dinner parties to large scale events to pop ups at festivals. Acclaimed chefs, catering, mixology, bartenders, curated menu, production, design, invitations, rentals, staffing, you name it. We offer private chef services, from daily drop offs to in-home meal prep, dinner parties and events, tailored to any dietary needs. Organic, Vegetarian, Vegan and Gluten-free optional. Gourmet always. We work with hospitality groups, restaurants, bars, hotels and celebrity chefs/talent on creating new concepts, openings, branding/re-branding, design, layout, events, catering, event sales, marketing initiatives, photography, website, F&B program, FOH/BOH operations, business development and additional ways to increase revenue and visibility. 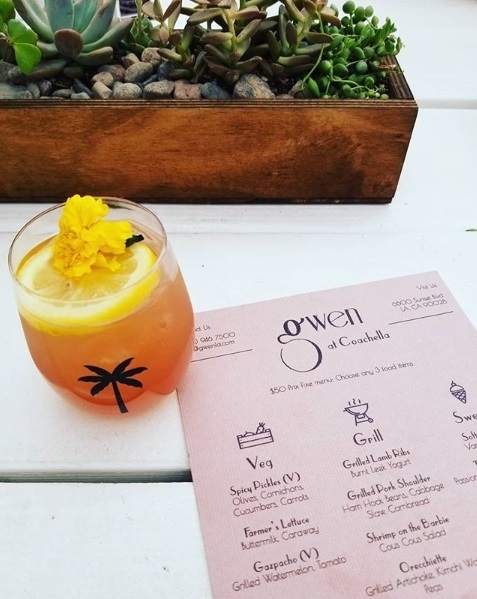 We have produced highly-acclaimed pop ups for our hospitality and lifestyle clients at the biggest food and music festivals in the country, including Coachella (Outstanding in the Field 2017 & Gwen VIP Pop Up Restaurant 2018), Arroyo Seco Weekend 2018, LA Food & Wine (2017 & 2018), Aspen Food & Wine, The Taste, LA Times Food Bowl and more as well as our very own branded pop up cafe at WeWork DTLA. Where brands and experience meet. We work with hospitality venues and lifestyle brands on branding and operations as well as communications, digital, social and experiential strategies. Our brand clients range from festivals, art, beer, wine, spirits, cannabis, fashion, beauty, wellness and fitness. Capabilities deck and case studies available upon request.